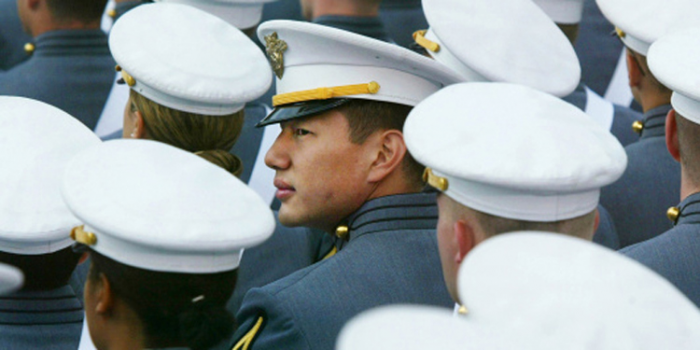 The U. S. Military Academy at West Point will use Cogito Corp.’s real-time emotional intelligence technology to analyze and improve the negotiation skills of cadets, according to an announcement last week by Cogito. “We believe that the ability to effectively negotiate is a critical skill that will serve military personnel well in numerous situations over the course of their careers,” said Col. James Ness, Ph.D. Director: Engineering Psychology Program, West Point. “Cogito’s behavioral analytics technology will systematically analyze communication patterns within negotiating sessions and provide insight into the cadet’s psychological state. This technology will provide an unbiased assessment of how each cadet is being perceived by the other party. It will deliver insights into how they can modify their behavior to improve negotiation outcomes,” said Ness. Cogito’s software has been validated through years of research completed in collaboration with DARPA (Defense Advance Research Project Agency), commercial deployments and clinical research partnerships. The software automatically analyzes voice conversations and provides real-time insight into an individual’s speaking behavior and psychological state. By applying behavioral science through artificial intelligence and machine learning, Cogito enables people to communicate with deeper empathy and build stronger emotional connections. Automated analysis identifies behavioral patterns that lead to increased productivity and improved outcomes. “We are honored to be working with West Point, an elite institution world renowned for developing great leaders,” said Josh Feast, CEO and Co-Founder, Cogito. “Helping cadets advance their negotiation skills is a wonderful use of Cogito’s technology. The novel insights the software delivers will provide real-time intelligence into how they are being perceived and how they can modify their behavior to reach more successful agreements. The technology has proven to deliver similar benefits to phone-based sales representatives, care management professionals and customer service agents,” said Feast. Backed by Romulus Capital and Salesforce.com, Cogito is headquartered in Boston, Mass.